Manage and secure all your endpoints across multiple platforms from a single console. Apple DEP : Streamline large-scale deployments. Wirelessly configure devices for automated MDM enrollment and out of the box use. Apple VPP : Save on app costs with volume licenses for iOS apps and books. Secure and private distribution for B2B apps. iOS Kiosks : Lock down devices in single or multi-app mode. Boost employee productivity. Keep students focused on the task at hand. Configure and Restrict : Set up device configurations over the air. Disable features like camera, app store and iCloud. App Management : Distribute Enterprise and Store apps. Blacklist or Whitelist applications. Silently push apps onto the device. Set up app catalogs. Web-filtering : Improve security by keeping unwanted websites at bay. Restrict inappropriate content. Black/White list specific websites. Enterprise Ready : Integration with Samsung Knox, LG GATE & Kyocera EMM. Alliances with Sony, Zebra, HTC, and more on the way. Android TV : Configure, restrict, lock down and manage apps on Android TVs. Ensure safe media consumption and business presentations. Android Kiosk mode : Lock down devices to one or more apps. Configure background apps for required services. Android for Work : Enable BYOD without worrying about corporate data. Set up separate work profiles to securely contain work apps and data. Secure Browser : Blacklist/Whitelist URLs to disable unwanted websites. Enable secure multi-tabbed browsing. OEM/ROM Enrollment : Enjoy enhanced control on Android devices like silent app installation and auto-enrollment. Samsung Knox Enrollment : Deploy corporate-owned Samsung devices in bulk without having to manually enroll each of them. Zero Touch Enrollment : Offers seamless deployment of corporate-owned Android devices making large-scale roll-outs fast, easy and secure. Unified solution : Manage Windows phones, tablets, laptops and PCs from a single portal. Securely provision corporate devices. Password rules : Improve security by setting rules with the desired password complexity, expiration and retry attempts. Email and Network : Set up corporate Wi-Fi and email and ActiveSync configurations remotely. Location tracking : View and track device locations. Log and export location history of devices. BitLocker- Ensures data protection by providing full encryption to the drives attached to the computer. Volume Deployment : Simplify large-scale deployments with Apple DEP. Preconfigure settings to auto-enroll with MDM. Secure Devices : Wirelessly configure and restrict devices. Set up device passcode rules. Remotely lock devices. BYOD and Corporate : Distinguish between personal and corporate devices right from enrollment. Set different policies for both. Easy OTA enrollment : Enroll Mac devices just the way you enroll iOS devices. No need for admin to physically access the devices. Secure Airplay : Block unauthorized users from streaming content on to your Apple TVs by locking it up with a password. Set up Wi-Fi Networks : No need to manually connect every Apple TV to the WiFi. Remotely push network configurations to a group of enrolled devices. Simplified Enrollment : Leverage Apple Device Enrollment Program(DEP) to auto enroll devices with Hexnode MDM during volume deployments. Prevent any inappropriate content on the launch screen being displayed to the audience. Remotely turn on Conference Room display with a custom message. The support makes this a stand out offering. I often approach suppliers with money to spend and a use case to deliver, most but not all demonstrate passion and reliability whilst in review stages and then in on-boarding and delivery. A few continue this throughout there working relationship with you. Hexnode have shown a unique passion to be the best at what they do, regardless of my needs they strive to deliver more to make there solution better. This in turn make give me more tools in the kit. Hats off to the team and keep up the good work!The product is intuitive, the learning curve is quite flat and whenever you need support it is there for you. The guys and girls at the support team have responded to me in web chat at all hours of the day with quality advise and support. Where they need to confer with a colleague they will be honest and say this and i always have had a response. I needed a specific use case, they delivered it and more. I have found features i was not looking for that have now become great additions. The plans are well laid out from a pricing point of view regarding the functions associated. The team also have taken on board feedback and requirements and even added functionality where appropriate. I you know nothing about MDM but know you need one I dont think you could find a better team to help you. If you need an MDM solution to grow with your business needs then this is likely to be a great fit. The product is intuitive, the learning curve is quite flat and whenever you need support it is there for you. The guys and girls at the support team have responded to me in web chat at all hours of the day with quality advise and support. Where they need to confer with a colleague they will be honest and say this and i always have had a response. I needed a specific use case, they delivered it and more. I have found features i was not looking for that have now become great additions. The plans are well laid out from a pricing point of view regarding the functions associated. The team also have taken on board feedback and requirements and even added functionality where appropriate. I you know nothing about MDM but know you need one I dont think you could find a better team to help you. If you need an MDM solution to grow with your business needs then this is likely to be a great fit. Better support for non mainstream devices, I know they work hard to reach the level of capability on all devices that they have achieved on Samsung as an example. My use case was around 200 Nvidia Shield tablets so we had to work with that, it may just be feature envy but if Samsung had been able to do what I needed i would be able to exploit more of the tool box on offer. Locked down the tablets we needed without a massive cost.Hexnode offers several different levels of features. We needed to lock down a Samsung Galaxy Tab E to only use one program. Their first level feature, Kiosk mode, is all we needed to be able to do this. It works great. The tablets auto boot into the program we have installed and all other functions of the tablet are disabled or not accessible. On top of this, they are by far the cheapest company we've found to offer this feature. Software is easy to install and easy to use. The intial policy setup in the management URL takes a little time, but is also easy. Once the setup is complete, you can assign the policy to whatever device needs it. You can have multiple policies if needed as well. I've contacted customer service a few times for figuring out how to do something, finding where a setting is, and purchasing a license. Each time the representative was kind and knowledgeable. Hexnode offers several different levels of features. We needed to lock down a Samsung Galaxy Tab E to only use one program. Their first level feature, Kiosk mode, is all we needed to be able to do this. It works great. The tablets auto boot into the program we have installed and all other functions of the tablet are disabled or not accessible. On top of this, they are by far the cheapest company we've found to offer this feature. Software is easy to install and easy to use. The intial policy setup in the management URL takes a little time, but is also easy. Once the setup is complete, you can assign the policy to whatever device needs it. You can have multiple policies if needed as well. I've contacted customer service a few times for figuring out how to do something, finding where a setting is, and purchasing a license. Each time the representative was kind and knowledgeable. Hexnode has been really helpful they have made sure that my needs are met and solved by them. if you need anything additional added to you're platform they will make it possible. i 100% recommend hexnode to my business and clients! it's been a real pleasure working with hexnode. I have been testing/trying out a few MDM tools and this is the best one i have use out of them all! It was so easy to use! Just tick/untcik what you do and don't want the end user to do and that's it you are set. you have so many options to pick from it makes really easy and covenant to setup your devices. I have been testing/trying out a few MDM tools and this is the best one i have use out of them all! It was so easy to use! Just tick/untcik what you do and don't want the end user to do and that's it you are set. you have so many options to pick from it makes really easy and covenant to setup your devices. the only thing that i didn't was not being able to assign different roles to users, but after speaking to hexnode they implemented this for me so i could make different roles. Save on hardware costs by allowing employees to use their own devices for work while securing the corporate data on devices. Working remotely on personal devices yields better output. No time is lost in employees getting comfortable with the devices or office environment. Delete corporate pushed configurations, restrictions and apps while keeping personal data intact. Assign restrictive policies that activate only when users are within the company premises. Maintain the full list of apps installed on the devices in your enterprise. Add in-house apps and externally sourced apps. Securely deploy corporate apps on employee devices. Manage upgrades and downgrades seamlessly. Disable unnecessary apps by black/white listing. Get alerts on blacklisted app installation. Create custom catalogs of apps to better manage and allow users to install necessary apps from a single location. Secure corporate data by remotely locking or wiping stolen devices. Delete enterprise apps and settings during device disenrollment. Enable Wi-Fi access to devices without sharing passwords. Configure a Global HTTP Proxy on devices. Highlight emails sent to non-corporate domains. Ensure attachments are opened only in corporate deployed apps. Centrally monitor applications installed on devices. Blacklist unwanted applications. Whitelist necessary applications to block all the rest. Automatic compliance monitoring. Alerts on compliance violations. Manual & Preset compliance criteria. Enforce auto lockdown of corporate devices when they stay offline for a specified number of days. No need for uploading files elsewhere or attaching in email. Send files to users directly from the portal. For key files that need to be placed in specific directories, users need not be bothered. Admin can deploy them remotely. Assign files via policy to have them deployed to a group of devices at once. Send a bunch of APKs to devices to enable users install applications without having to be connected to the internet. Deploy files without having to wait around for confirmation from user end. No need to white-list 3rd party file managers. Open and view shared content right within Hexnode MDM app. Get voice call volume and data usage statistics for better managing mobile expenses on corporate carrier plans. Meet financial audits head-on with precise reports on voice and data usage. Issue usage warning on plans nearing exhaustion. Automatically bar calls and restrict data usage after limits. Set specific limits for each app. Conveniently block non-work apps from eating into corporate data plans. Below are some frequently asked questions for Hexnode MDM. Q. What type of pricing plans does Hexnode MDM offer? Q. Who are the typical users of Hexnode MDM? Q. What languages does Hexnode MDM support? Q. Does Hexnode MDM support mobile devices? Q. Does Hexnode MDM offer an API? Yes, Hexnode MDM has an API available for use. Q. 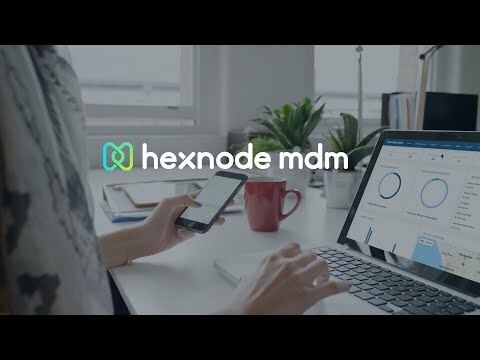 What other apps does Hexnode MDM integrate with? Q. What level of support does Hexnode MDM offer? Q. Which apps is Hexnode MDM compared to most often?